Welcome aboard! 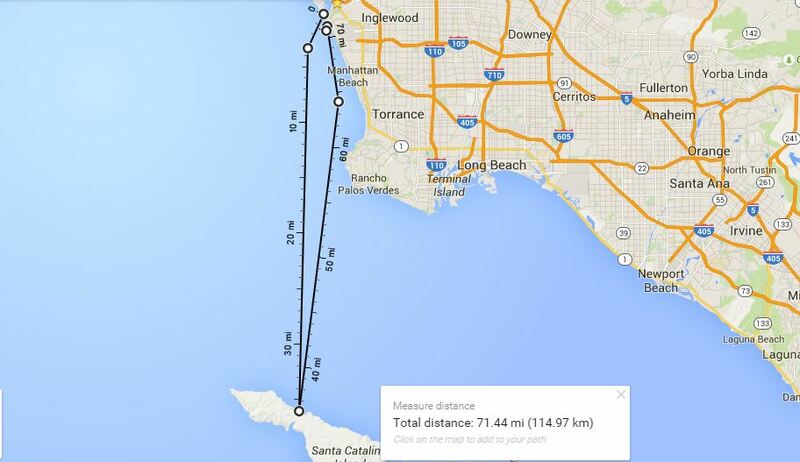 A fabulous private yacht trip to catalina is right in the corner . 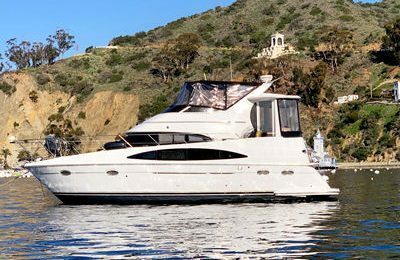 From American luxury yacht builder Searay, this 50 footer Sundancer yacht is about stylish and performance. 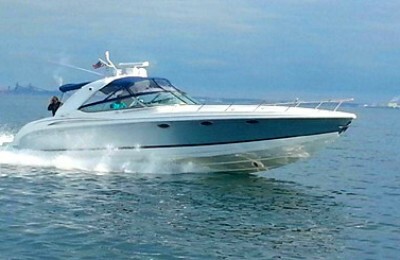 Take your family and best friends aboard this 900 horse power, twin turbo charged engine express cruiser. The cockpit space is very entertaining, with built in wet bar and BBQ grill right at side of the cockpit, and HI FI sound system throughout.The front deck is a great spot for entertainment or sun bathing. Below the deck, there is a spacious salon area,and a great working kitchen along with 2 bed rooms and 2 shower rooms. 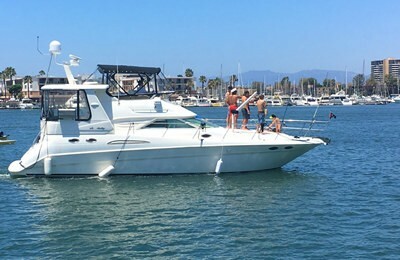 You can jump into water for a swimming, fishing and snorkeling, then come back to have a hot water shower on the yacht. You can choose either 2 Harbors or Avalon as your destination, as 1 day trip cannot go to 2 places. Sea lions, Seals, dolphins, Sea birds are very often been spotted year round. Whales are seasonal, often been seen during Jan to Mar. Just enjoy the ocean and peaceful 2 harbor with California sunshine, have a picnic or BBQ over the water.